View cart “Snow Bracelet” has been added to your cart. Chocolate-spotted Agate, faceted Carnelian, Moonstone and Onyx, gilded beads. A delicate sway, sparkling facets dotted with gemstones of Aquamarine, Moonstone and Onyx envelop you. A streaming strand of gilded facets surround you. 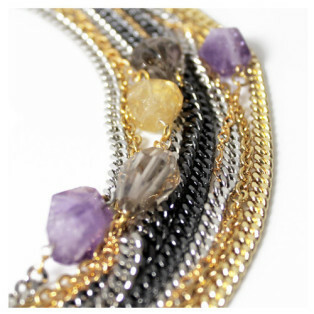 These beaded strands add a bohemian vibe to the everyday. 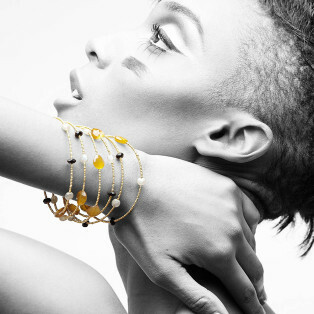 PRE-ORDER: This piece is specially made for you. Please allow 2-weeks for delivery. 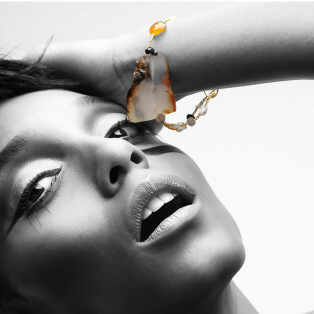 Powder white Agate collide with shimmering multi-strand facets with dangling Aquamarine, Moonstone and Onyx. A treasure trove of gilded multi-strand facets suspend dewdrops of dangling Carnelian, Moonstone and Onyx.